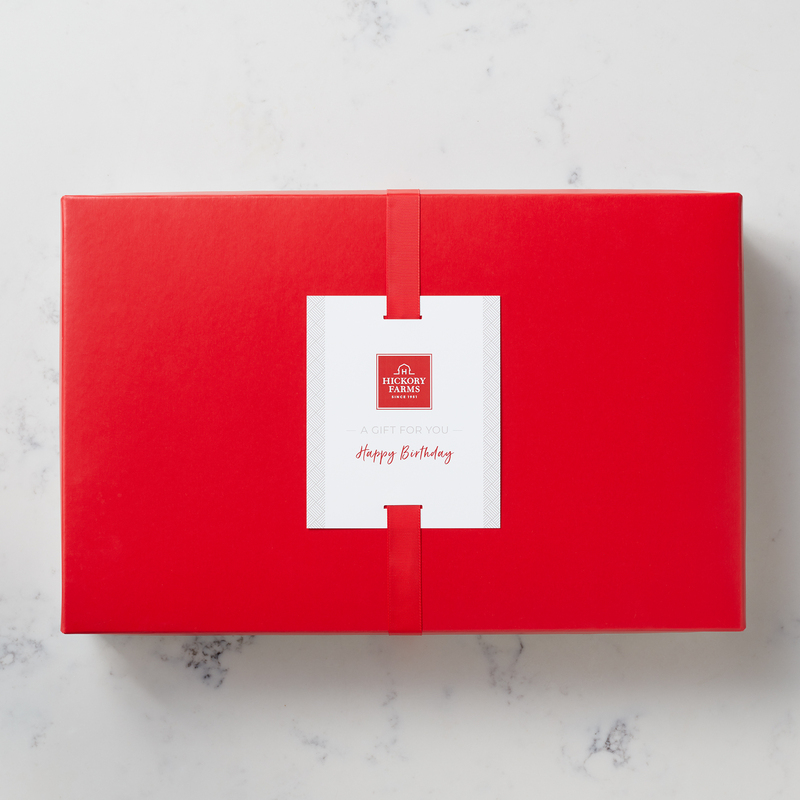 Share a thoughtful gift with someone special! 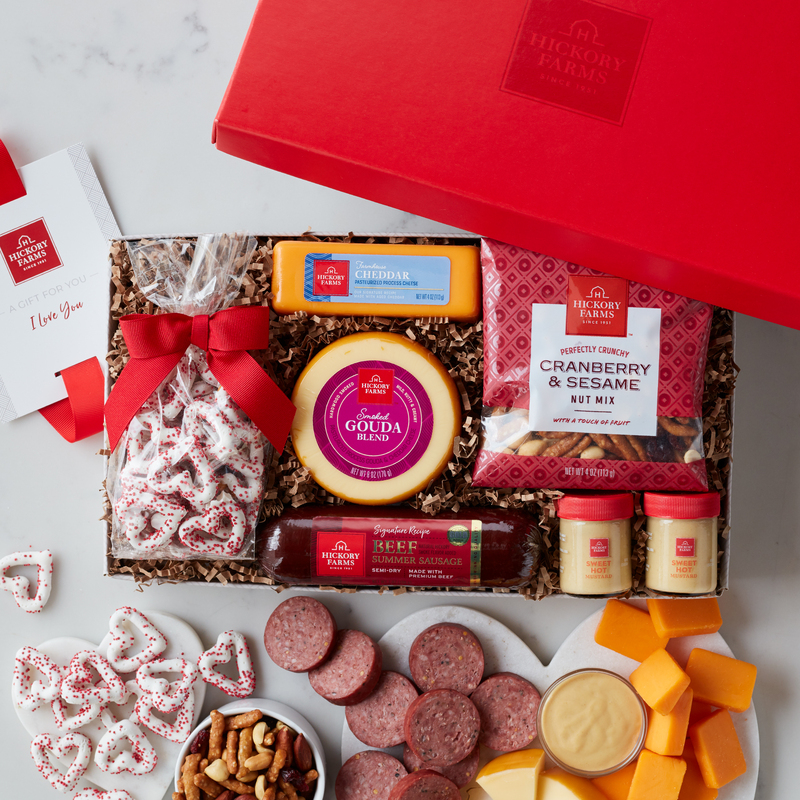 This gift box is filled with delicious Hickory Farms favorites like Signature Beef Summer Sausage, Smoked Gouda Blend and Farmhouse Cheddar cheeses, plus Sweet Hot Mustard. They all pair beautifully to create the perfect bite. Then, for a sweet and salty treat, there's Cranberry & Sesame Nut Mix and adorable Heart Pretzels.